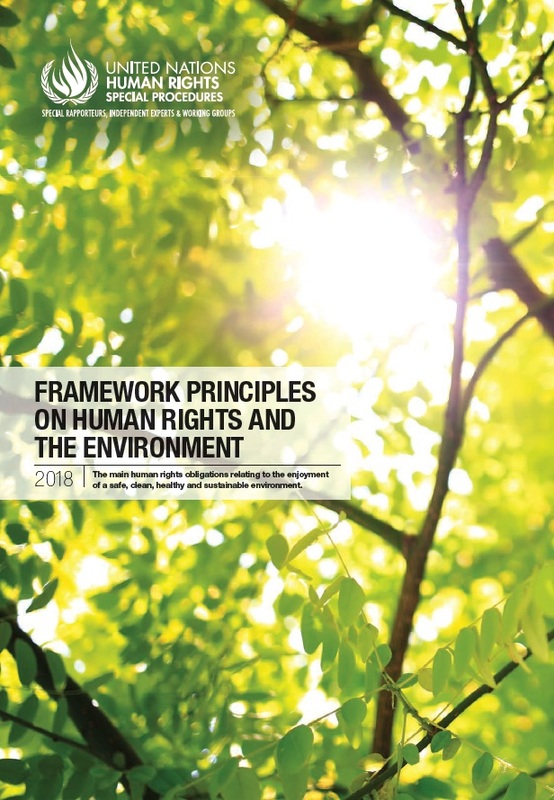 These Framework Principles on Human Rights and the Environment [...] set out the basic obligations of States under human rights law as they relate to the enjoyment of a safe, clean, healthy and sustainable environment. Each Principle has a commentary that elaborates on it and clarifies its meaning. Many of the obligations described by the Framework Principles and commentary are based directly on treaties or binding decisions from human rights tribunals, while others draw on statements of human rights bodies that have the authority to interpret human rights law but not necessarily to issue binding decisions. While not all States have formally accepted all of these norms, the coherence of the interpretations of human rights bodies is strong evidence of the converging trends towards greater uniformity and certainty in the application of human rights law to the environment. These trends are further supported by State practice, including in international environmental instruments and before human rights bodies. As a result, the Framework Principles should be accepted as a reflection of actual or emerging international human rights law.